He started by playing piano, the son of a pianist, but from the time Kerson Leong was handed a proportionally smaller violin at 4½, he felt an instant connection to the instrument. That vitality made Leong ideally suited to perform the Violin Concerto by Aram Khachaturian at the Stockton Symphony’s Classics 3 concert Saturday at San Joaquin Delta College’s Atherton Auditorium. The Leong-featured piece will fall between the “Port Stockton March” and Musorgsky’s “Pictures at an Exhibition,” orchestrated by Maurice Ravel. He knows the 20-year-old native of Ottawa, Canada, can handle it. Leong performed it with the Folsom Symphony when Jaffe was the guest conductor. He’s never included the piece in a Stockton Symphony performance, but chose it for Leong’s professional American debut with an orchestra. 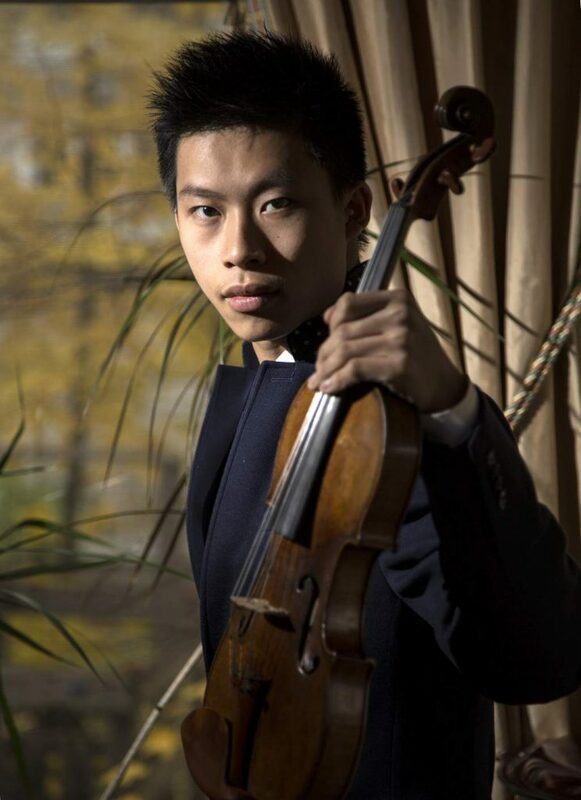 Leong, who is in his third year studying with French violinist Augustin Durnay at the Queen Elizabeth Music Chapel in Waterloo, Belgium, is excited to return to this piece under Jaffe’s direction. “This concerto is a fascinating piece,” Leong said. “It’s not played so commonly. How I actually did it this time is because of Maestro Jaffe. The first time we worked together he asked if I could do this particular concerto. I knew it from before, but I explored the piece. That encouraged me to learn it. Leong’s uncle played for the Folsom Symphony and told Jaffe that he had a nephew who was an exceptional violinist. Jaffe was skeptical until he checked into the young man. Leong made his mark early in regional and national competitions in Canada, but then in 2010, at age 13, won the Junior First Prize at the Menuhin Competition in Oslo. His reputation only grew from there as he won more international competitions. “I remember when I first started at the regional level where there were music festivals, local competitions,” Leong said. “I do remember my first time competing. I was also competing in other instruments, the piano as well. It was a thrill for me. I loved being in a competitive spirit in a healthy way. He began to recognize that need in him after he’d won the Oslo competition at 13 and began to gain international notice in the following years. Leong is 20 but seems wise beyond his years. He credits his parents — Dad Kin-Wai Leong and Mom, Tu Mach — with supporting him from the beginning. His dad is a scientist and a music lover who always had music playing in the home. His mom is a pianist who runs her own music school. His life now not only involves studying in Belgium, but performing around the world. In addition to European concerts, he has performed in China, North American and Australia, where he premiered “Visions,” a new work for solo violin, boys’ choir and string orchestra by composer John Rutter. Saturday’s guest appearance with the Stockton Symphony is his only stop on this trip to North America, but it allowed him to visit his parents and to reunite with Jaffe.